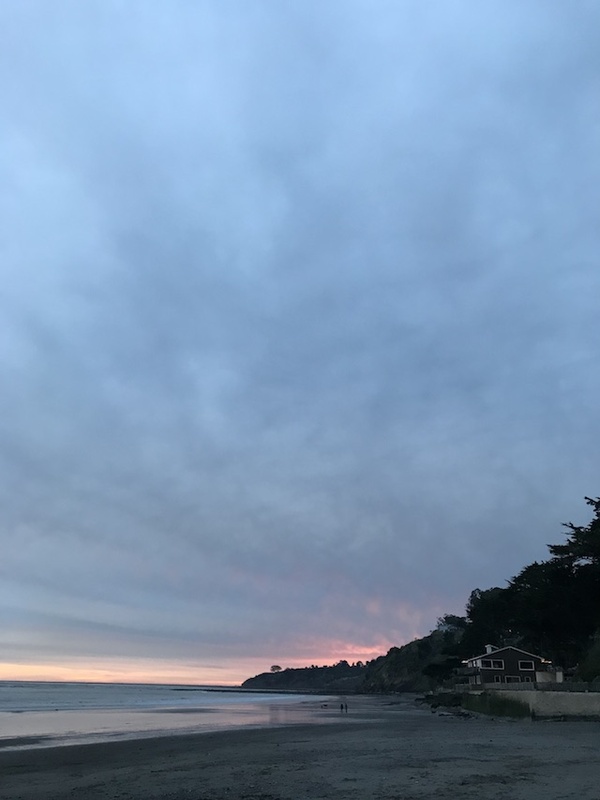 We stumbled upon Bolinas one weekend we were looking for an easy day trip, and vowed to come back for a few days. The holidays presented the perfect opportunity as we were not flying for the first time in years and had the luxury of a few quiet days before spending Christmas Eve and Christmas in Boonville - basically on the way up the coast! 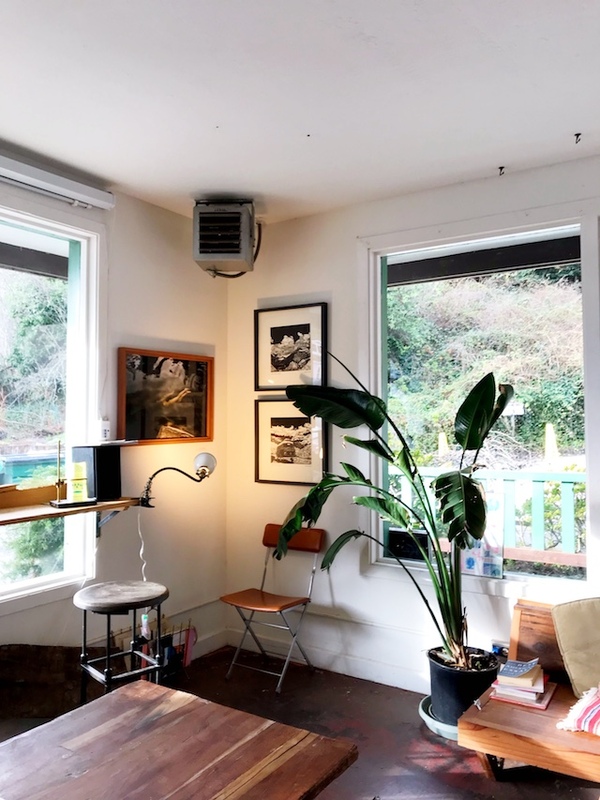 The tiny, “hidden” hippie surf town is just 45 minutes outside of San Francisco and was the perfect low key escape; it’s unmarked from the main roads in Marin and there’s hardly cell phone service. See below for how we spent 48 hours in Bolinas. Rumored to be the oldest saloon west of the Mississippi, Smiley’s is a Bolinas landmark (and a Marin landmark, for that matter). 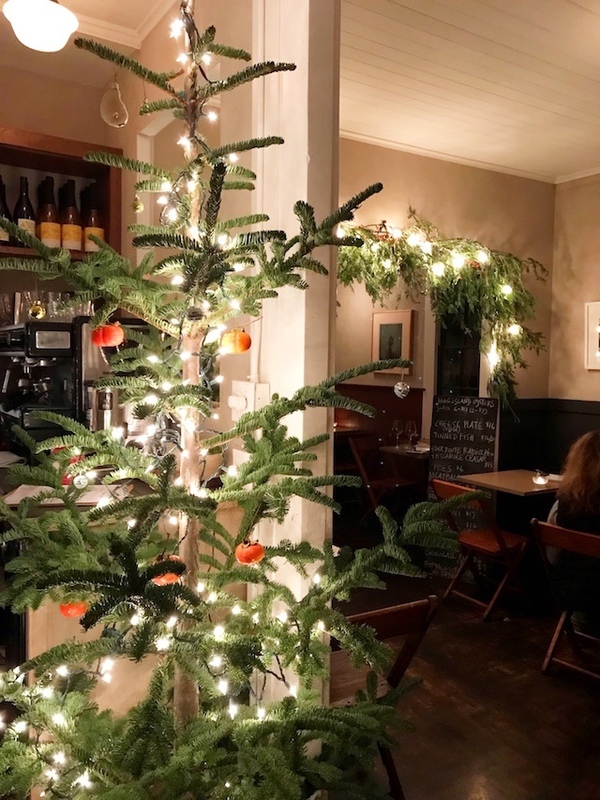 It’s been serving stiff cocktails to locals since 1851 and has a handful of reasonably priced rooms. The bar is colorful (to stay the least) but the rooms are clean and cheerful. I’d read about Eleven previously, so booking a dinner reservation was the first thing we did after booking our accommodations. We split a salad, deliciously salty prosciutto pizza, and the pot de crème over a bottle of wine. It was cozy and just the right amount of Christmas-y and I couldn’t recommend it enough. Eleven does have rooms that we’d love to check out our next visit. Our first night in town we walked across the street for dinner at the Coast Cafe. We couldn’t resist splitting the in-season crab after sharing some of the best fried calamari I’ve ever had as a starter. It was fun to see so many locals stop by their hometown favorite while we dined. It’s hard to find a good açaí bowl that’s under $15 in San Francisco so we were excited to find this spot in Bolinas. A pop-up coffee and pastry shop with a beach vibe that reminded us of Encinitas, the little northern San Diego beach town we lived in before moving to San Francisco. We just got a few pour-overs but the pastries looked amazing. *I couldn't find a website but there are signs around town and they have an Instagram. 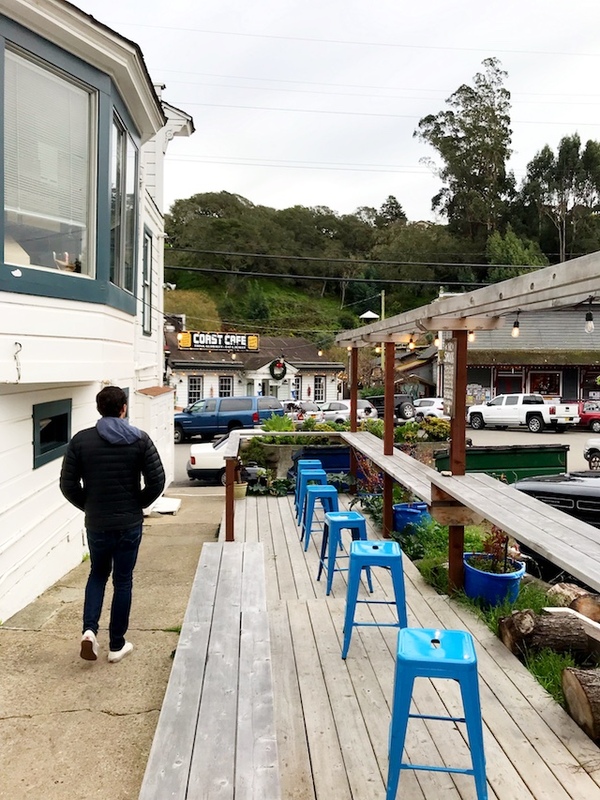 After a long beach walk in Point Reyes, we stopped by Cowgirl Creamery’s original creamery and cheese stop, located in Point Reyes Station’s Tomales Bay Foods, for cheesy sandwiches and hard cider. We’ve tried to come to the marshall store a few times but it’s either been closed or too packed. We timed it perfectly on our way to Bolinas (although it’s about 20 minutes north). We split oysters, clam chowder, and the smoked salmon plate over beers on the long shared table in the waterfront parking lot. We wandered over with coffee and were charmed by this communal bookstore - which is run on an honor system! 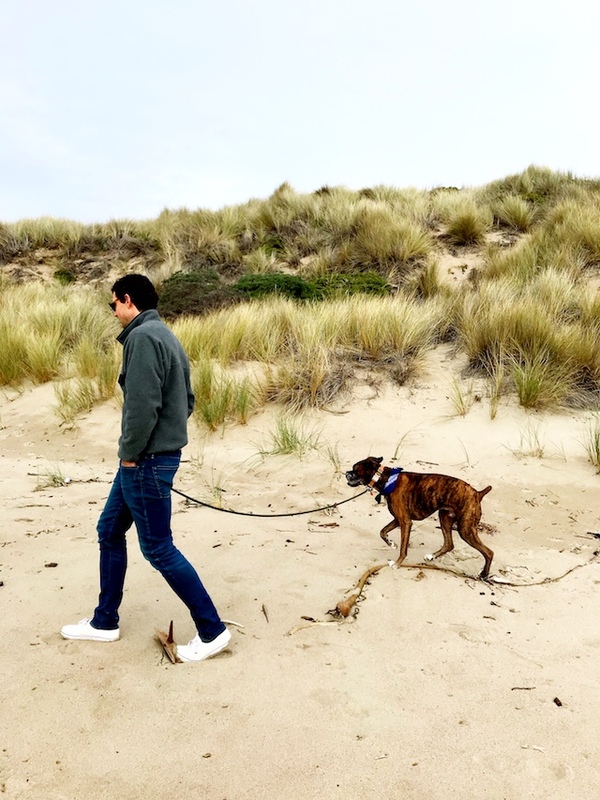 After a week of grueling, pre-holiday workouts, we were looking for an easy workout for our only full day in Bolinas. We drove a quick 20 minutes to Limantour Beach, located between Drakes Bay and the Limantour Estero esturary. The beach doesn’t look like anything I’ve seen in California. We quickly established a routine for our visit in Bolinas. In the morning, we’d walk with our coffee to the beach and mainly just watch the surfers as the tide is high in the morning. In the evening, with the low tide, we could walk for about a mile down the coast to catch the sunset. 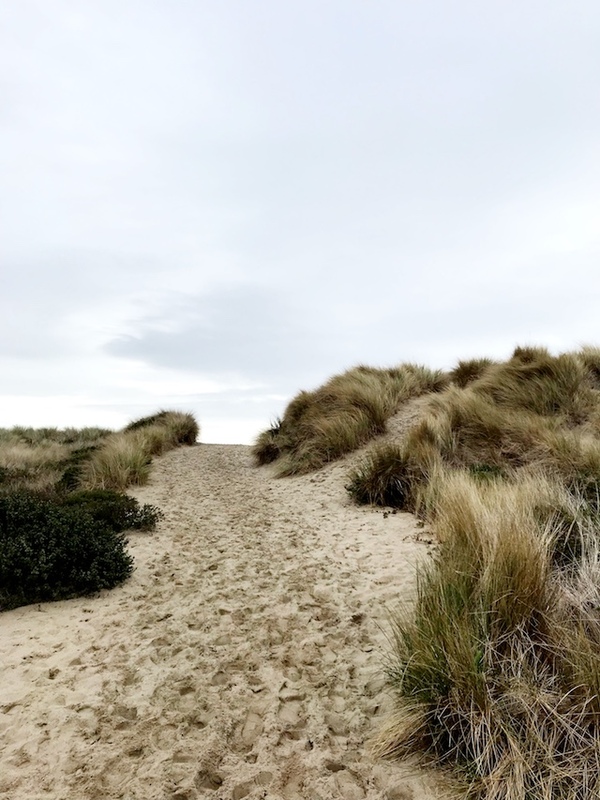 *Both beaches are dog-friendly which we (and our dog) loved.